Looking back on the high praise and ‘one-to-watch’titles given to him by industry peers like Armin van Buuren, Paul van Dyk and Paul Oakenfold, Jordan Suckley has become a name that stands on its own merits. Years after holding residency on the world’s most revered dance music station –BBC Radio 1 –and releasing his studio work on labels like Armada Music, Garuda, Spinnin’Records, Perfecto Fluoro, Vandit, Black Hole and Ultra, he’s established his own outlet. Launched in February 2014, Damaged Records made it to Beatport’s Top 15 of best-selling trance labels within its first year, clocking up no less than twelve Top 10 hits and various number one’s. 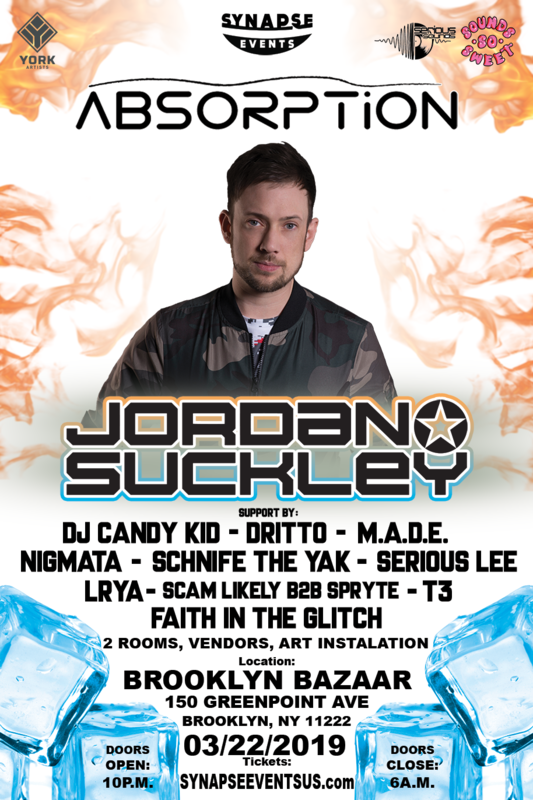 With sold-out Damaged events taking place in Los Angeles, San Francisco, New York, Belfast, Toronto, Milan and even Down Under, it’s clear that Suckley’s vision is shared and welcomed by music lovers well beyond his home territory. Experience a live performance by M.A.D.E and you’ll truly understand the passion. The American music group consists of Production and DJ duo Cody Cox & Joaquin Limon, alongside Instrumentalist/Producer Eric Quintin. What originally started as a DJ duo with Brian LaPierre and Cody Cox in early 2013. Brian & Cody quickly realized their potential as a combined force to become an all around DJ/Production duo, and within their first 6 months together they jumped right into the spotlight winning Insomniac’s Discovery Project with their hard hitting melodic bassCASE collaboration “Solar Storm”. Shortly after, the two joined the Trance-Energy family, establishing their global presence with their online radio podcast “Lucidity”, which currently airs every Monday with a new episode. You can retrace DJ Candy Kid’s first dejay set back to NYC’s Halloween 2001. Since then, Slava has torn up American dance floors from east coast to west coast (and everywhere between), plays Canada on a yearly basis, and makes fans groove worldwide. 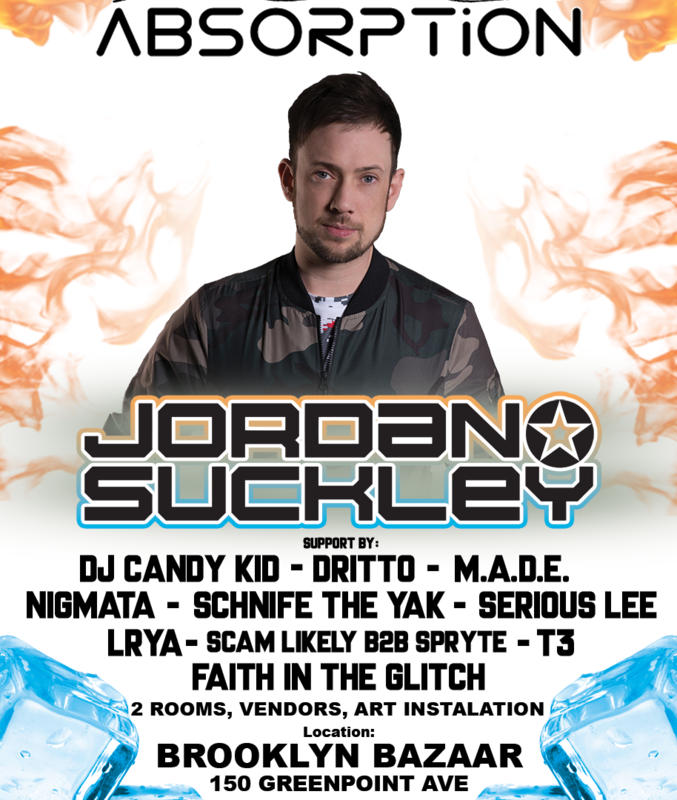 He had shared the stage with producers such as GRiZ, Hixxy, Brisk, Impact, Mark Smith, Angerfist, Joey Riot, Kurt, Robbie Long, S3RL, Sc@r, Pikey, and many other legendary producers and dejays. Showcasing mother nature’s beauty in hand crafted jewelry.